The annual Brahmothsavam of Sri Devathi Rajar is on at Thirukachi [Kanchipuram]. 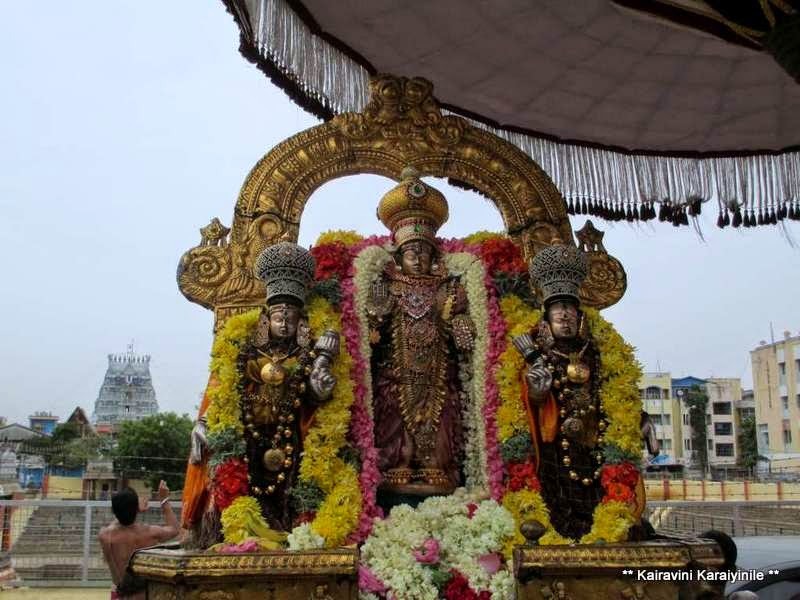 At Thiruvallikkeni, there is the 10 day festival for Sri Gajendra Varadha Rajap Perumal. At Thiruvallikkeni divyadesam, there is purappadu only in the evening. 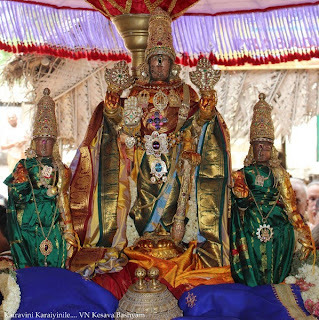 Today, 30th May 2013 is the 9th day of Uthsavam.. today being Thiruvonam [the first Thiruvonam after the Chithirai Brahmothsavam], there will be purappadu of Sri Parthasarathi. Sri Varadharajar had purappadu in the morning @ 7 am in the Kedayam ~ His radiance outshone the Sunlight and we were too delighted to have darshan of the most beautiful Varadha Rajar. Here are some photos taken by me during the morning purappadu and a photo of Sri Varadhar at Kachi – courtesy VN Kesava Bashyam.